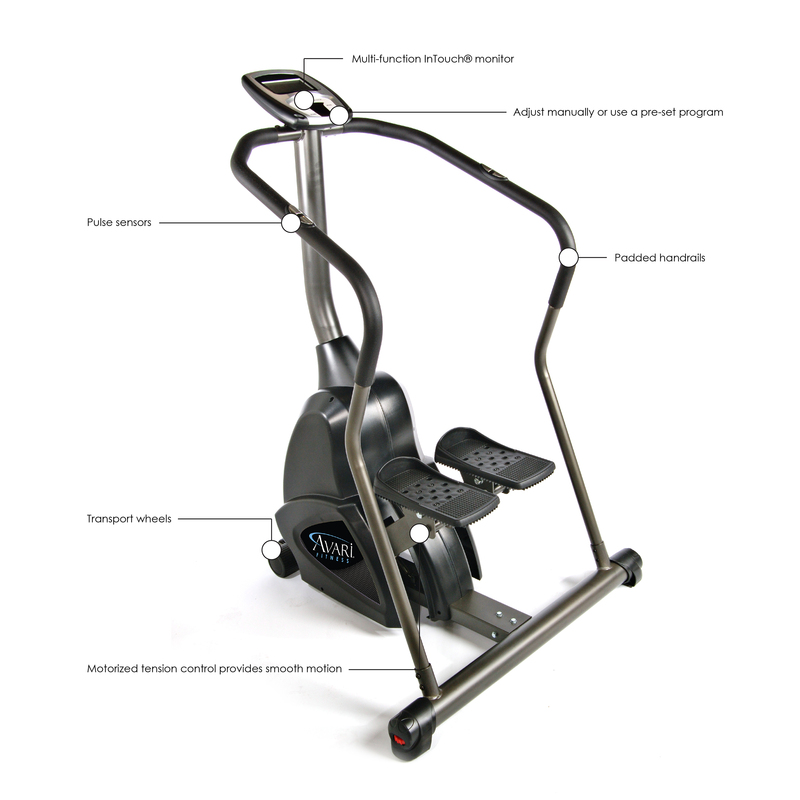 The Avari® Programmable Stepper gives you an invigorating cardio workout while toning and strengthening your calves, glutes, lower abdominals, hips, thighs and lower back. During your workout, you can adjust the tension manually for a fully customizable workout or use one of the 12 pre-set workouts, including the heart rate control program and body fat loss program. For enhanced performance, this stair stepper is motorized for smooth, comfortable resistance, which is low impact. Even more, the wide, self-leveling foot pedals make stepping easy, comfortable and stable. 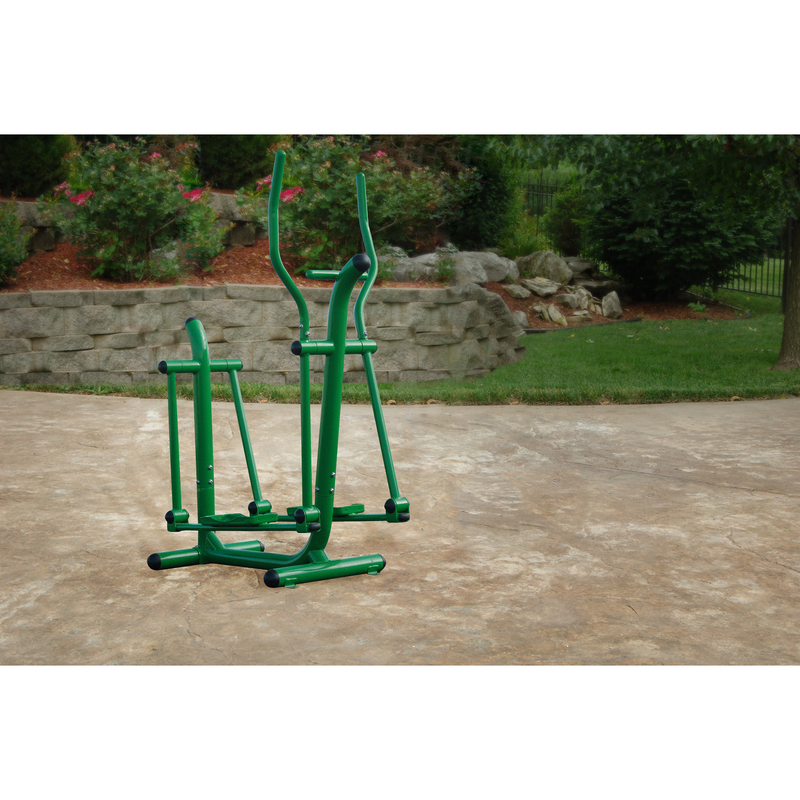 After your toning, endurance-building workout, moving and storing the machine is a breeze with the built-in transport wheels. In addition to selecting pre-set programs, the InTouch Fitness Monitor also displays your rotations per minute, total time, calories burned, pulse (measured by the pulse sensors on the handrails), room temperature and so much more. There is also a scan function to view all your stats over the course of your stair climber workout. Home use only. Use three times a week for a challenging cardio workout.